Ron is the founder of PROS- Investigations, and holds a certification in parapsychology, trained and guided by Dennis Hauck international author and consultant for the movie White Noise. Ron is the teams Parapsychologist. He is an advanced EVP technician and researcher who also has conducted ITC experiments and research. (Instrumental Trans Communications using video).. Both Ron and his twin brother have experienced paranormal events since the age of four, inspiring a life-long interest in documenting and analyzing subjective and objective data, anecdotal evidence, and investigative techniques. He has studied the paranormal for over thirty years, however EVP (Electronic Voice Phenomenon) is his specialty. He has researched and investigated EVP since 1981. 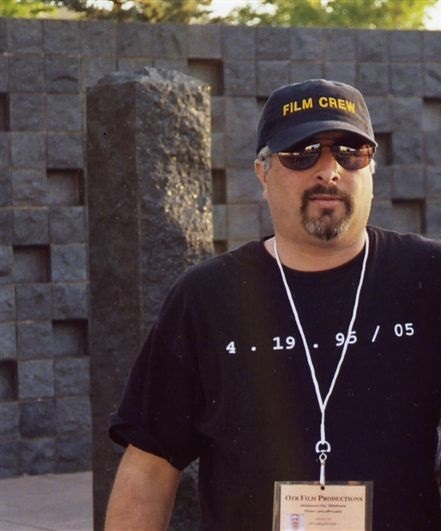 Ron also devotes his time and expertise to the paranormal community by teaching and consulting, conducting ongoing ghost tours and continued research, accepting public and private speaking engagements, granting interviews, and participating in media events. He served a short time in the Army where he learned the importance of teamwork and that good communication skills are a must. . Ron is also a graduate from the North American School of Firearms and advocate of gun rights. He has worked with the OKBIC led by State Rep. Charles Key (Oklahoma Bombing Investigation Committee) as a legal researcher and investigator. Ron is also a volunteer first responder with CERT ( Community Emergency Response Tean), and registered storm spotter with the National Weather Service in the U.S. and a licensed ham radio operator who can provide emergency communications when needed for the state of Oklaholma . He's a 32nd degree Mason (perpetual member) and a Shriner. He enjoys hunting, fishing, and spending time with those he loves, and learning about the paranormal and the great mysteries of life, studying history along with praticing graphology( hand writting analyst) with Lonny. Lonny is the President of PROS. Lonny isn't always present at investigations; however, he ensures data by defining field operations and the protocols for all investigations. He is the final decision maker for the team. Lonny's expertise lies in protocol and data analysis, utilizing science and empirical evidence to explain what may be considered an anomaly and scrutinizing that which may not be considered paranormal. He has had many experiences with the paranormal and has always managed to remain level headed during these events and able to point out the explainable possibilities. Lonny was a pre-med student and now has a degree in technical management and is a certified network engineer. 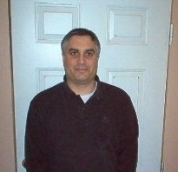 Lonny has been studying and conducting paranormal research for over 30 years. He enjoys working with computers, hunting , fishing and graphology with his twin brother, and his wife and children are a very important part of his life. Tony is USA PROS Team Director. He runs the research project at the LTRS and is in charge of the field operations as well as being the tech specialist for the team. Tony has over 30 years experience in the construction industry. His expertise is in plumbing and mechanical systems but is also a general construction superintendent. Tony has been involved with projects ranging from single family houses to billion dollar industrial projects. That experience, along with the fact he is the team skeptic makes Tony an expert debunker. Tony had not experienced paranormal activity before joining PROS but had always had an interest in how nature and the world around him operate. He is the one that takes things apart to see how they work. Tony met Ron at a Ft. Reno tour and, after hearing some of Ron's experiences and listening to his EVP, decided he had to find out how it works. He has been with PROS ever since. Tony helps with the website and keeps the webcams and chat up and running and is also developing new equipment to help the team in their investigations. Tony also designed and built the new ECU (Evidence Collection Unit) to be used on our outside investigations. Tony is a full partner and owner of PROS along with Ron. Jimmy Stubbs. holds a certification in parapsychology . Jim is the PROS UK Team Parapsychologist. Jim is also an EVP Tech, who was trained by Ron of PROS and conducts EVP/ITC experiments. Jim is well versed concerning the paranormal and helps many people understand thier experiences based on his training and education in the paranormal. Jim often investigates places in the London England area using new equipment and methods developed by the PROS Team. Jim is a member of the SPR in The UK. Jims area of focus is poltergeists. Memod (Martha) leader of our West Coast Division of PROS. She is well trained in EVP and knowledgable in the field of paranormal research. More info can be found about her on our tab for the UK Team. Which she is an EVP Tech for and mod. Martha is the leader for the California PROS Team. Martha also uses the new methods and equiment being researched by the PROS Teams. Often she can be watched live preforming EVP/ITC research over the Net.